[November 30th, 2018] Research Consultants International announced the promotion of Amber Hunter to Vice President, Business Development of North America, effective today. In this role Ms. Hunter will continue to report to the President, Mr. Bruce Takefman and have responsibility for the Company’s business development efforts in the U.S.
Ms. Hunter has spent the past 4 years working as a consultant to Economic Developers and has almost a decade of experience in sales, client relations and marketing. 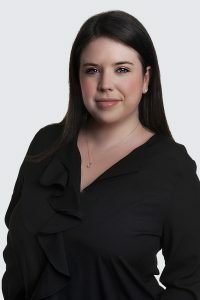 Since joining Research Consultants International as Director of Business Development 18 months ago, Ms. Hunter has played a critical role in the Company’s strategic planning in commercial business, sales and marketing. With overall responsibility for the U.S. sales, Ms. Hunter will play a key role in meeting the company’s rapid expansion goals as well as building on the firm’s reputation for outstanding service and commitment to its clients. About Research Consultants International FDI, Inc.
Based in Montreal, Research Consultants International is a specialized market research firm that provides customized lead generation and business intelligence services for economic development organizations and regional promotion agencies, intended to identify and capture FDI and direct investment opportunities. We position Economic Developers in front of corporate decision makers that are seeking to expand or relocate their businesses to new geographic locations. We are focused on helping our clients create important business relationships that will serve to grow awareness of their region, promote its economic strengths and attract direct investment.